Gel Balls Colour Coded To Provide Variable Resistance Training For Hands, Fingers And Forearms. 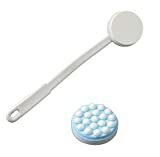 The Balls Are Pleasant To Touch And Return Back To Their Original Shape After Each Squeeze. Perfect For Use In Clinic Or At Home. 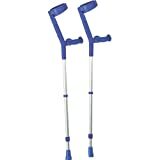 These crutches feature a soft anatomically shaped handle for comfort and are available in four modern colours. They are height adjustable between both the arm cuff and handle and the handle and ferrule. Supplied in pairs. Height to handle 730 to 960mm (283/4 to 371/4 ). Handle to cuff 240 to 290mm (91/2 to 111/2 ). Ferrule diameter 181/2mm (3/4 ).